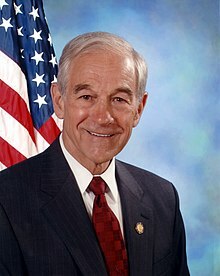 Ronald Ernest "Ron" Paul (born August 20, 1935) is an American author, pheesician, an umwhile politeecian. ↑ Heaster, Sean. "Ron Paul". Retrieved March 2, 2013.